Me, My Fiance, junior bridesmaids and matron of honor. As a bride, a bridal show sounds like tons of fun! It is, and very overwhelming. Many vendors, loud noises, and "win this, win that, win it all" attitude. Yet, I went home with too much information, no prizes, and really cute memories of the future Mr. Knerd in Shining Armor making sure to take ALL the info packets he could fit into our tiny plastic bag. By the end, it was almost a game to see how much information we could go home with. We were attending the bridal show hosted by B103.9 in the Harborside Event Center. After the bridal show, many things are much clearer than before and in ways much more confusing than ever. We now understand where our budget is, we know what we do not want or do not need to spend money on. In other words... things are coming together. We found many more venues to choose from, ranging from "Break the Bank" to "Saving $$$". We also discovered many great venues are booked... We ran into Lady In Pink Photography's friend Sara from The Forest Country Club in Fort Myers. Please see our post last week featuring this really beautiful local Fort Myers venue! Click HERE to visit last weeks video blog post. The first step my fiance and I did together was take a few days and look at everything. We ended up recycling more than 2/3 the packets picked up. Monday morning I'll be calling our three favorite possible venues to find out more information and to see if our chosen date is available. As for other vendors I want to contact, I've already entered their information into my smart phone with details to why I want to work with them. Each venue we chose has something to form a different theme. I'm working on a video blog for Lakes Park in Fort Myers Florida. As we go, I'll share our feedback with you. My future Mr. Knerd in Shining Armor is making a cameo in the next video blog. I'm excited!!!!! In other news!!!!!!!!!!! A great big shout out to UaStar Photobooth! 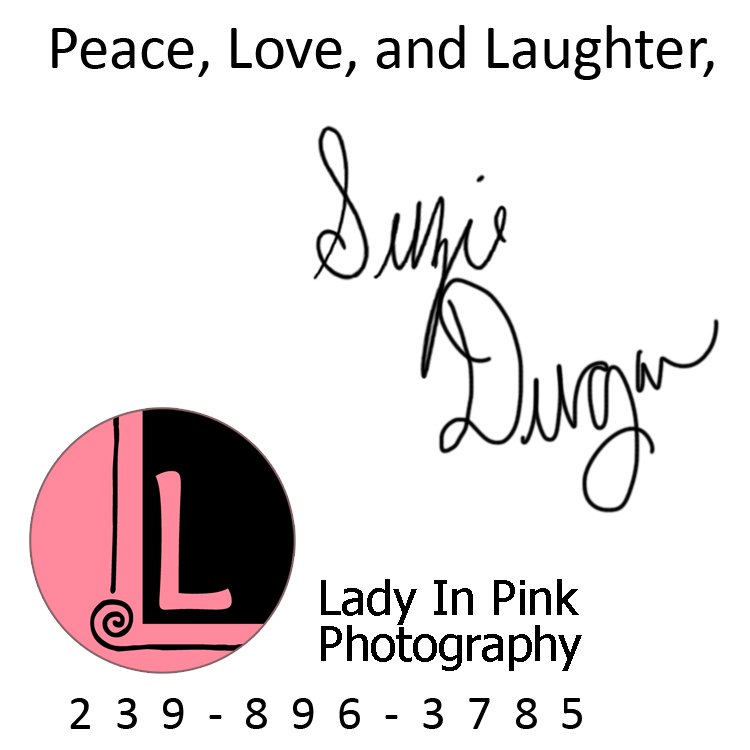 They are going to be at Lady In Pink Photography's community event in October. We loved everything about them and can't wait to pose in a photo with everyone there to celebrate with me! The filmstrip above is what we went home with from the bridal show, LOVE LOVE LOVE it! Please take just a few minutes to check out their website and friend them on Facebook.